Published on March 11, 2010 in Bands/Artists, Eastern Iowa, Music, Out and About and Upcoming Show. 0 Comments Tags: Bo Ramsey, dave moore, Greg Brown, Live Show, photo exhibit, reception, Red House Records, restaurant, Rick Cicalo, Sandy Dyas, Steve Hayes, The Red Avocado, vegan. 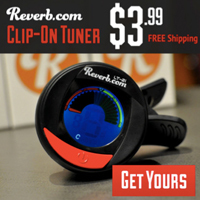 If you follow my blog with any regularity, you know that I follow the Eastern Iowa music scene fairly closely– especially its rich folk and blues tradition. One of the guys who has been around Iowa City for a while and has established a kind of legendary career is Dave Moore. Moore’s music career starts in the early 80’s in Iowa City hooking up with Greg Brown– supporting him on tour, recording and his frequent visits to Garrison Keillor’s A Prairie Home Companion radio show. In 1984 he won a blues and folk festival contest which provided him the studio time to record his first record Jukejoints and Cantinas which began his relationship with Red House Records. In 1990 he released his follow-up Over My Shoulder. In 1994 he started work on his third release which was interrupted due to losing a daughter in infancy. He took a break from the record and playing for a while, choosing to stick close to home and family. The resulting record– Breaking Down to 3— which was released by Red House in 1999 is a strong work which benefits from the “Iowa Sound” that Bo and the guys brought and is a record that I consider to be essential to any collection of this regional scene. Dave Moore will be playing two early sets at The Red Avocado restaurant in Iowa City on Saturday 3/20/10. The party starts at 11AM with two sets of tunes from Moore– one at 11:30AM and one at 1:30PM. At 3PM there is a reception for area photographer Sandy Dyas and her work on exhibit at the Red Avocado that goes until 5PM. Click Here for the Red Avocado Page on the Spring Party. 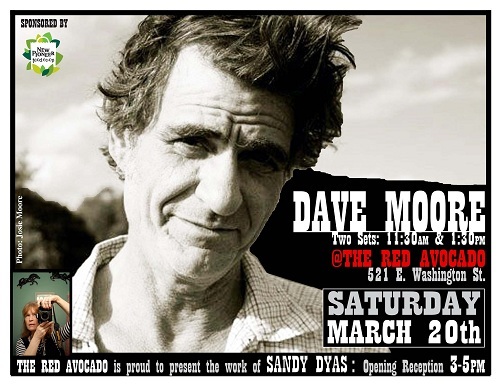 Click Here for the Facebook Event for Dave Moore & Sandy Dyas at The Red Avocado. Click Here for Dave Moore’s Facebook Page. Click Here to read a great bio on Dave Moore called “Evolution of a Folksinger” by Maureen Brennan from 2000. Click Here for Sandy Dyas’s website.